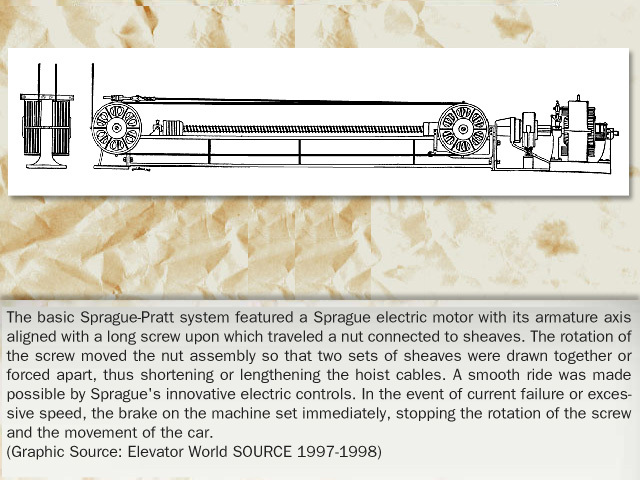 "Electric engineer Frank Julian Sprague is better known for his pioneering development of the first electric street car. 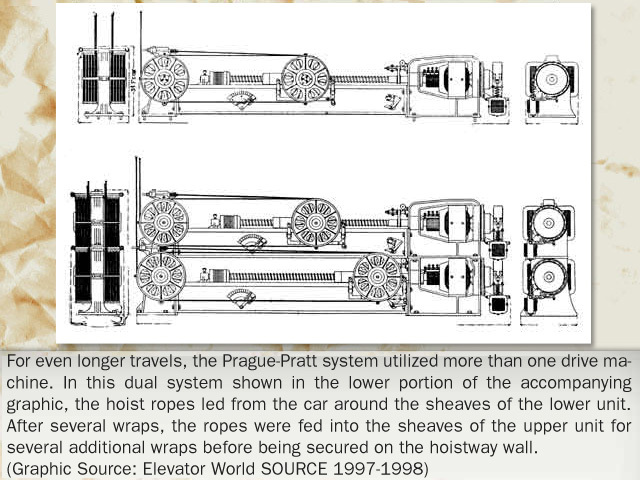 Millions of Americans were more interested in moving out of the hot, congested city core than in traveling vertically within a building! 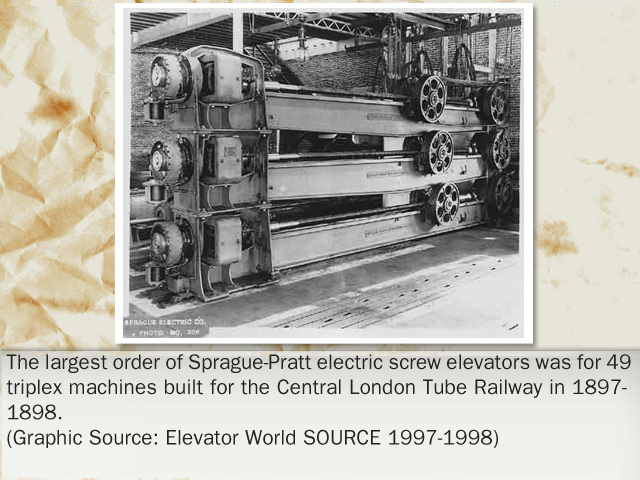 However, when Sprague did turn his attention to the elevator field, he perceived the limitation of the electric direct-connected drum machine. 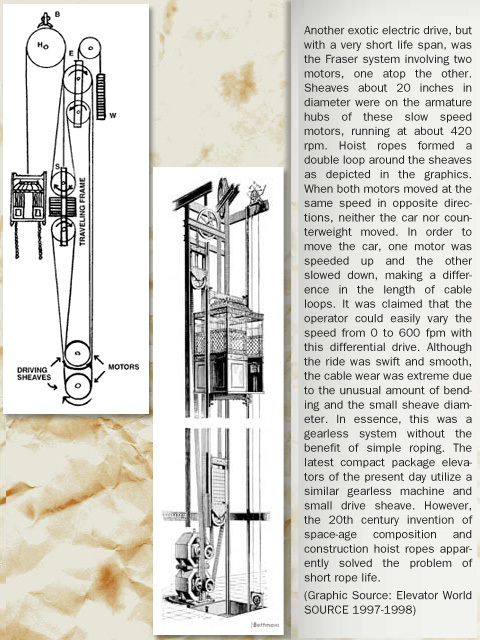 The drum could hold insufficient hoist cable to serve the high-rise structures coming into vogue; its shifting lead off the ever widening drum and the inability to balance the load between two wire ropes convinced him that an electrical variation on the roped hydraulic machine provided a more practical solution. 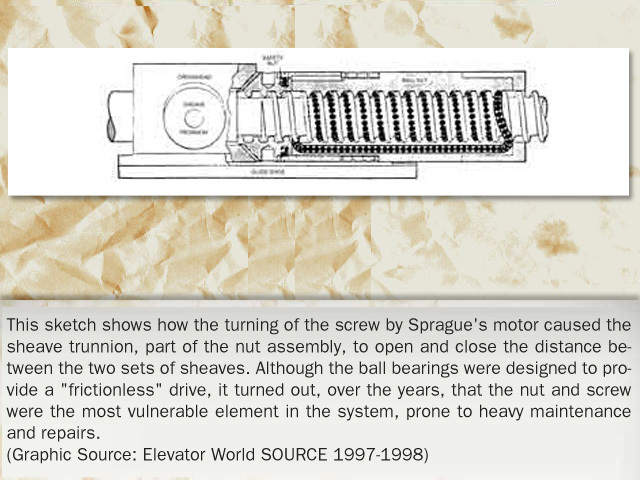 In 1988, Sprague and Charles C. Pratt, a mechanical engineer, joined forces to develop a screw drive that maintained a degree of popularity for a decade. 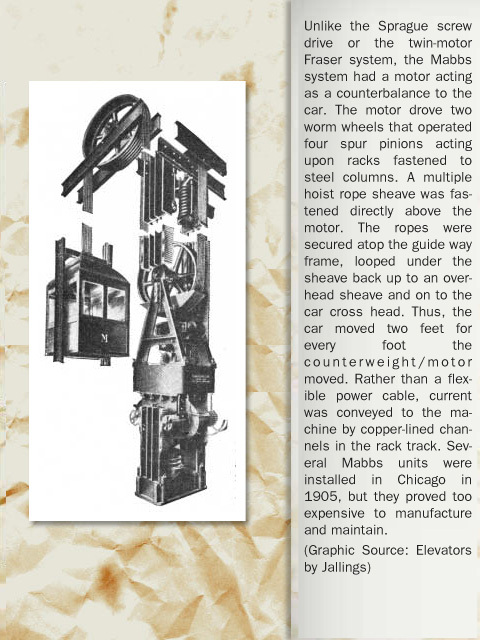 Inventors Fraser and Mabbs also opined that better electrical solutions existed than the direct connected gearing between motor and drum. 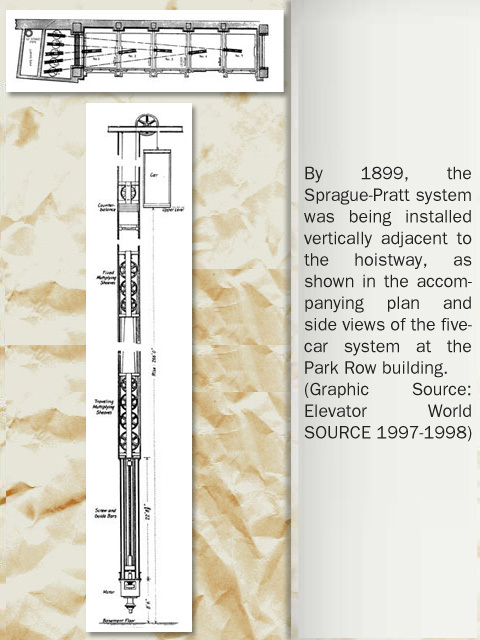 Their solutions quickly drifted in and out of history while Sprague's name entered the annals of valid inventors in the elevating field."